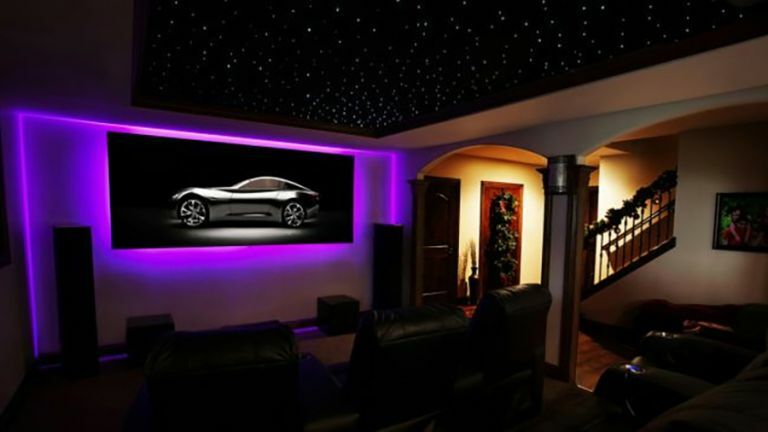 You don't need a vast mansion and a huge wad of cash to set up your own home cinema system - although money and space are both useful to have - and there are various ways of approaching the task. In fact, you've probably got a wider choice of kit than ever before. You can repurpose older hardware (like an ageing console or laptop) or blow the family savings on something really high-end. These are the best options we've found in terms of what's on sale at the moment, though cheaper alternatives are usually available. Before you get started it's worth weighing up where your movies are going to come from, now and in the future: DVDs? iTunes? Netflix? Do you want to be able to play games as well as watch films? Answer those questions and you'll have a better idea of what you need. This is such a vast topic that we could easily spend five of these articles going through your options, so consider this a small selection of what's on offer right now: if you dig around online you can easily find more options and extra hardware to suit your needs. The advantage of choosing a television set for your home theatre is that it's very simple to set up and there are models available to fit any kind of budget - you can plug anything into a TV, from a PS4 to an Nvidia Shield, and of course you get Freeview built in as well. If you're considering a larger-sized screen - say 50 inches plus or so - then projectors tend to be better value for money, though 4K remains pricey. Like TVs they have a host of inputs you can use, but don't forget you need a screen (or a big blank wall) as well. So what are you going to use to actually play your movies with? There's more choice here than ever and you might already have something in your house you can install in your home cinema. If not, here are some of the current options worth considering. Sound is just as crucial as the picture when it comes to a home cinema configuration, and again there are a wealth of options to pick from, both in terms of different speaker types and different layouts. These picks highlight some of the different choices you've got. You might feel overloaded with buying choices already, but we've not really covered all the options in terms of home cinema kit - you can of course go to town on AV receivers, complex audio setups, even soundproofing materials for the walls of your chosen room. Remember to save some money if you think you're going to need extras, and chances are that some additional cabling and maybe a power extension or two will be required. Wall mounts, stands and brackets might be necessary as well before you're finished.